This is our Passion our Dream! 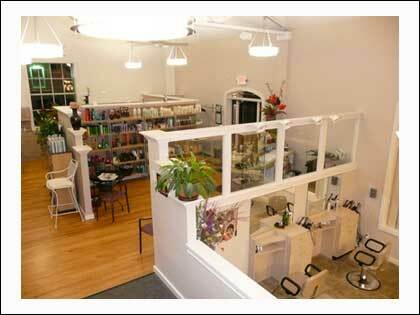 Over 25 Years of Hairdressing, Skin Care, Makeup and Nails in Hudson ,Ohio. Off Mainstreet Salon Welcomes You! We encourage you to feel comfortable throughout the Salon. 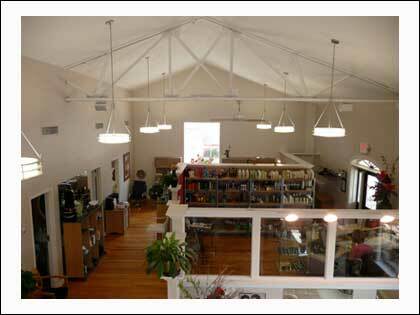 The Off Mainstreet Salon experience is a pleasant, friendly, fun environment. Our Experienced, Knowledgeable and Talented staff are here for you! Your visit will start with a consultation of your needs and wants. In order to insure rewarding results we will listen to all positives and negatives, whether your appointment is for Hair, Nails, Skin Care or Makeup. Recommendations will be made for services that you may require or products you may need for home use. Our trained Hairstylist, Nail Technicians or Skin Care Specialists are here for you! Your lifestyle, time and needs will all be taken into consideration before any steps to the new you are taken. We will help to promote a fashionable image for our clients with as small amount of maintenance as possible. Everyone, whether your career is inside or outside of the home has little time for himself or herself. We respect this and make your visit as efficient and enjoyable as possible. 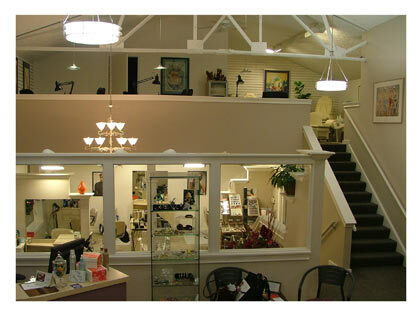 Once you are in our Salon you become a member of a much larger family. All services are available as gifts and individual packages may be made according to your needs and desires, and specific occasion. Gift certificates may be purchased in our salon or over the phone. For your comfort and well being, we are a completely non-smoking environment. Full service Salon in Hair care, Personalized Hair Design and Home Care along with all the needed support systems, Coloring, Curl Enhancements and Straightening. Our designers will provide you with a thorough consultation that works for you and your hair. Through consultation we know what form or shape is needed. How much movement and curl is needed. We will know whether to cut a solid, graduated or layered technique. With many different textures of hair, individual looks can be created to enhance different features. Our professionals, through years of experience and the use of Aveda products are able to show you quick and easy ways to enhance your features, achieve a natural healthy appearance that will work in any lighting or create a glamour evening look for a special event. Also available are Portrait, Bridal, Prom or Post Surgery advice and applications. Here at Off Mainstreet Salon, we cater to a variety of nail services. We offer Natural Nail care, hand treatments and nail extensions as well as Spa pedicures. We use and retail OPI & Essie polishes and products, Rejuvacote strengtheners along with other nail necessities. Our estheticians have been extensively trained and have years of experience to support your needs. Specific needs can be addressed with problems such as Rosacia, Acne, Sunburn and medication reactions. Home Care and Professional consultations are available with our trained Estheticians. If this is your first visit to Off Mainstreet Salon we want you to feel at ease and consult with us on your needs and wants. Our goal is for you to enjoy your services, answer any questions that you might have and to help you to continue at home to look as good as when you leave the Salon. We can make recommendations for services or products you may want in Hair, Skin Care, Makeup and Nails. Your lifestyle, time and needs will be taken into consideration to help you decide what you might want to do. Everyone wants as little upkeep as possible. We respect this and we will make your visit enjoyable and comfortable. When you “Look Great” you will “Feel Great” & We want you to Feel Great! Once you have been in Off Mainstreet Salon you become a member of our Family - Welcome! All services are available as Gift Certificates. You can use the Packages already available or design your own for specific people or occasions. They may be purchased in the salon or over the phone. We accept Visa, Mastercard, Personal check or cash. For your comfort and well-being we are a non-smoking environment. We do offer coffee, tea (decaf available as well), cookies, water, hot cider and hot chocolate. (Everybody loves the cookies!). Wi-fi is also available.